The reality is that if you try to take on too much at once with your business, this approach may backfire on you. It’s better to focus in on a few essential initiatives than it is to spread yourself too thin and, in turn, end up accomplishing nothing. There are four areas in particular that your business should highly consider concentrating on this year if you want to experience more success. Take time to review the following ideas and then think about which areas you’re performing well and which ones could use more of your time and attention so that you can come up with a plan of action for moving forward. Customer satisfaction is one area you definitely want to focus on this year if you’re going to run a better business. It’s important to collect feedback and track your customer service performance, so you know exactly how you’re doing. The happier your customers are, the more likely it is that your business will receive positive reviews online and that consumers will start talking about you with each other and spreading the word about why it’s a wise choice to do business with you. Additionally, commit to following health and safety protocol and running a safer business this year. You’ll avoid unwanted situations this way and be able to retain your employees because they’ll feel safe and protected coming to work each day. Properly ventilate and extract dust and waste by using products from Integrated Air Systems to help you achieve this goal. This way, you’ll reduce the risk of equipment breaking down or someone getting sick or hurt because of unsafe working conditions. Another area your business should be focusing on this year has to do with employee retention. The truth is that people are more willing to change jobs these days if they’re unhappy at their current employer. Keep your employees satisfied and motivated by assigning them challenging tasks and rewarding them fairly for their efforts. Be willing to gather feedback from and listen to your employees so you can create an even more attractive work environment. Your business should also be concentrating on how to innovate your products or services in the upcoming year. Going along with business as usual might be the easy answer, but it’s not what’s going to help you stay relevant or get ahead of your competitors. Hold brainstorming sessions with your employees and use your creativity to come up with new solutions that are impressive and newsworthy. Achieve better results with your business this year when you’re focusing on improving in the right areas. Use these tips to help you set more specific goals about what it is you wish to accomplish and what challenges you need to overcome in the future. Start by coming up with a plan of action and then writing down specific details about how you’ll properly execute each objective. Mind The Gap! 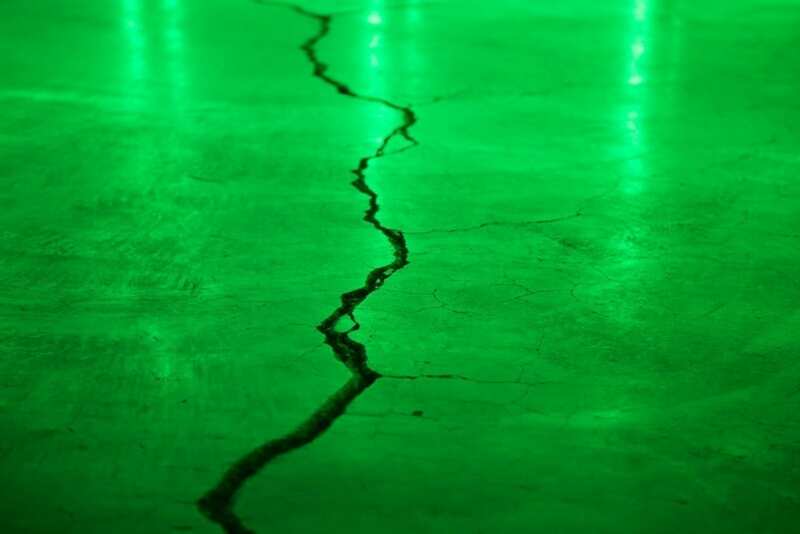 Can You Cover The Cracks In Your Company? Cracks have a habit of appearing where we don’t want them. 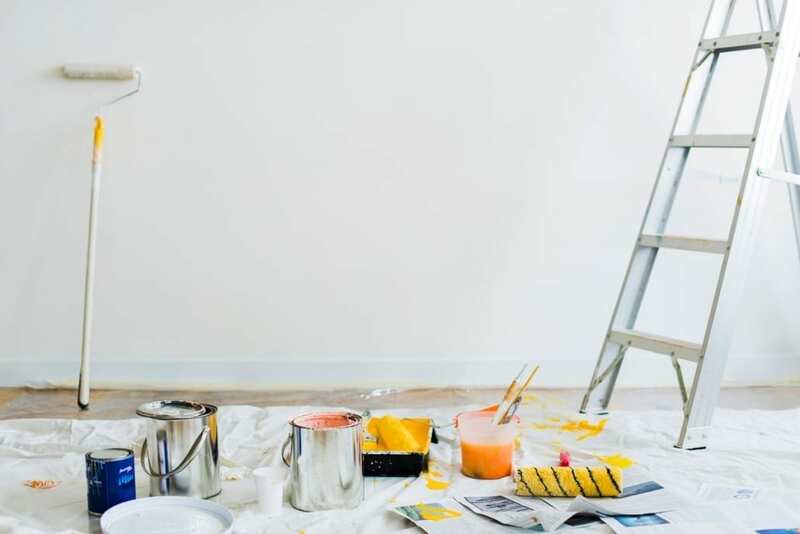 Every homeowner has that unpleasant moment of realizing a new crack has appeared on the ceiling. And, we’ve all cussed about that crack in the road. These are irritating yet inevitable parts of daily life. After all, the moment a crack appears, your efforts risk falling down that chasm. Still, even the best entrepreneurs experience gaps in operations sometimes. This is especially likely when you start out and experience teething problems. Don’t fear, though. The appearance of company cracks doesn’t mean you’re doomed to failure. All you need to do is know how to cover them so that they don’t show to the public. Lucky for you, we’re going to look at a few primary problem areas, and what you can do about them. When you start your employment journey, you won’t know what you’re looking for. There’s every possibility that you could end up with less than perfect members on your team. It may be that they don’t have a great work ethic, or that they have a disagreeable manner. It may even be that they cause workplace ruptures. A team member like this can cause issues for everyone else in the office. That’s sure to have a knock-on impact. Then answer? Make sure to do thorough background checks before taking anyone onboard. Make an effort, too, to harness experts by offering training. And, if team members still let you down, don’t be precious about letting them go. Your business will be better for it. Given your product is the main attraction, it’s also crucial to look out for cracks in manufacturing. These can come in a few different forms. It may simply be that you haven’t perfected a production method which works yet. Or, it may be that your machinery isn’t producing a clean-cut product. That first point is easy enough to cover over with a little careful planning and playing around. The latter isn’t quite as simple, though there is still a clear solution. If you aren’t achieving the finish you want, you should turn to someone like this manufacturer who offer precision equipment which is sure to be an improvement. 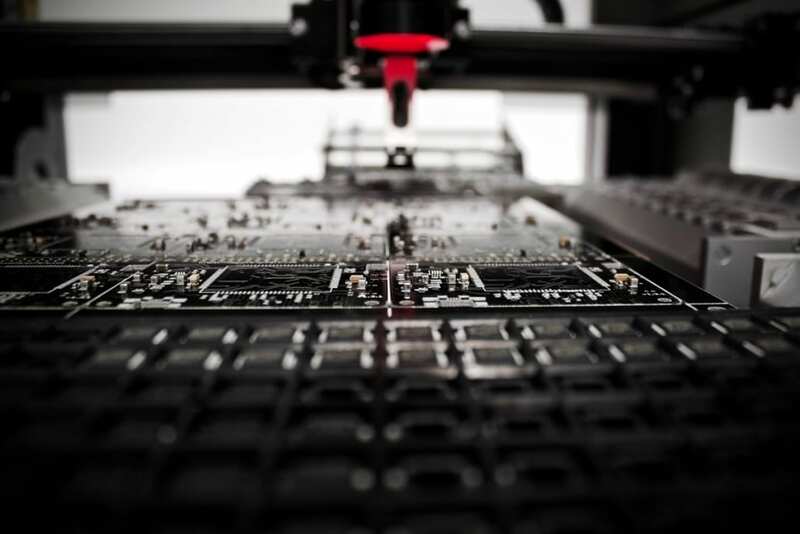 Recalibrating your machines may also provide the precise measurements you’re after. Many new companies also experience cracks in their delivery methods. This is terrible news as it directly impacts the customer experience. To make sure they don’t notice these problems, you need to focus your efforts here early on. Your best option by far would be to turn to an outsourced courier service like this one when you start out. This ensures your deliveries come from a professional and established company. As simple as that, you can put the risk of cracks here behind you, and see your deliveries on a smooth road to arrival. 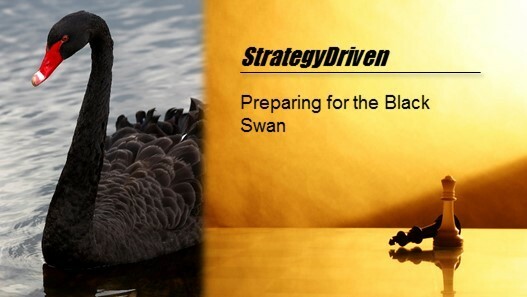 https://www.strategydriven.com/wp-content/uploads/Crack.jpg 800 1200 StrategyDriven https://www.strategydriven.com/wp-content/uploads/SDELogo5-300x70-300x70.png StrategyDriven2018-11-28 08:00:162018-11-28 21:28:46Mind The Gap! Can You Cover The Cracks In Your Company? Healthcare facility operating margins are under pressure from all sides. Uncompensated care of patients, slow paying insurance providers, reduced government reimbursement rates and rising costs are all contributing factors. Cutting staff and similar solutions risk quality of care and an extended wait time. Here are four ways healthcare facilities can improve their financial performance without adversely impacting patients. 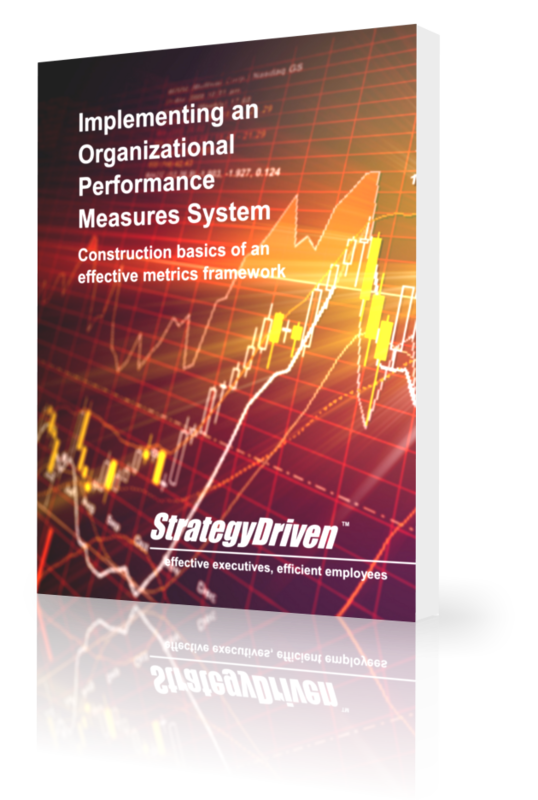 The metrics you use as the yardstick for organizational performance affect how people act. Instead of seeking to get patients out as soon as possible, look at readmission rates. It would be better to invest a little more time and effort up front so that patients don’t have to come back later. This is so important that low re-admissions are necessary to join an accountable care organization or ACO. Instead of simply measuring the time it takes to discharge a patient, focus on finding the most efficient and error-free method of doing so. You want to ensure that acute patients receive appropriate self-care instructions and follow-ups so they don’t end up getting worse. You can also use data to identify opportunities for improvement, whether it is determining where to streamline operations or which profit-centers you may want to expand. Healthcare facilities have no control over underpayments from government health programs. They can work with commercial and employer-based payers such as insurance carriers, and they can work with private pay patients. 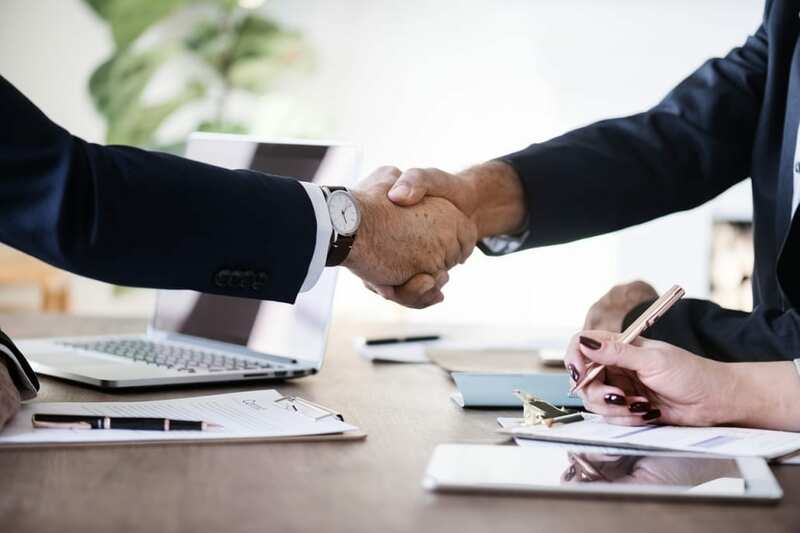 Healthcare facilities should take the time to understand their existing contracts and look for ways to better meet those contracts, so that they receive as much money back as possible. A common solution is renegotiating contracts. A surprising number of uninsured patients are eligible for government programs. Work with them to sign them up for programs so that the facility can reduce its rate of uncompensated care or bad debt from those who cannot afford expensive ER and OR bills. Work with your vendors to save money on supplies; that is the second largest expense in most healthcare facilities. Ask vendors about discounts you could receive simply due to the volume of items you already consume. Inquire about discounts if you ordered items in bulk and run inventory so that you don’t order items you don’t need. In medical facilities, labor costs and labor-related costs may be more than half of all expenditures. Focusing on other areas is a waste of time if these expenses are not under control. The solution is to carefully track data on staffing and manage labor on a cost-per-patient-day level. Don’t over-staff one area and under-staff another. Make data-driven labor decisions whether hiring, firing, or assigning overtime. 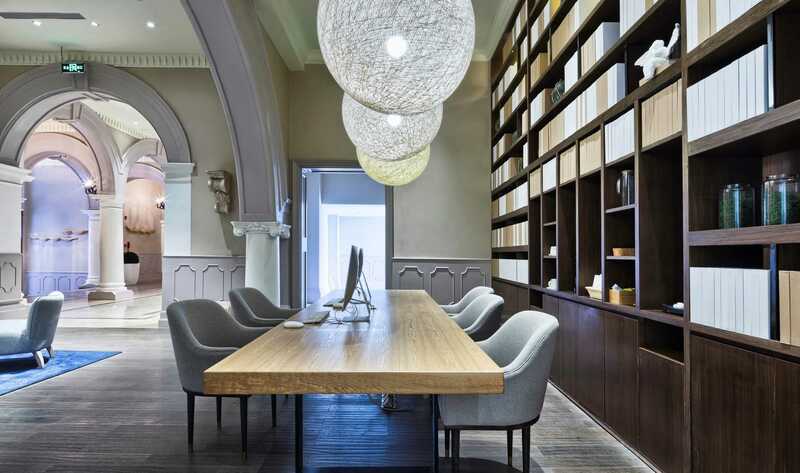 Hold regular meetings on managing labor rolls monthly, quarterly and annually. Don’t cut 10% across the board, but instead cut those individuals who are redundant or under-utilized. If labor costs are high in an area, you can look for third-party service providers who you could outsource the work to. 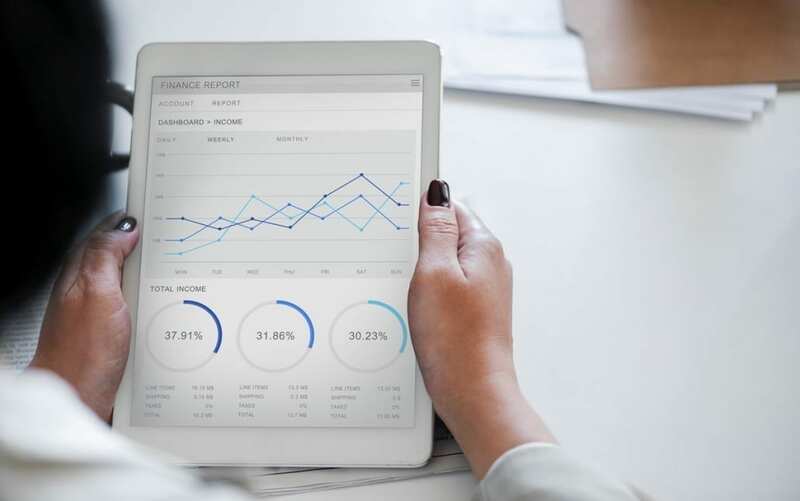 Use risk reporting software to find gaps in dynamic care, study financial trends, and determine the risks you may face based on resource allocation decisions. Then you won’t end up hurting patients with understaffing during a predictable peak demand or fall short of cash unexpectedly. Industry surveys have found that finances are the number one concern of executives year after year. Following these tips can help you cut costs and improve revenue without hurting the quality of care patients receive. In today’s hyper competitive marketplace, no leader can afford to see his or her organization’s performance remain stagnant or, worse yet, decline. It’s become an imperative as well as a customer expectation that your company’s performance continually improve no matter what business you’re in. It can be exceedingly difficult for a business leader to pinpoint the performance improvement opportunities enabling his or her organization to achieve its fullest potential. At StrategyDriven, we’ve had the privilege of helping leading companies around the world improve their performance. Based on this experience, we’ve identified several common performance improvement opportunities associated with the organizational, process, and technology areas that you can look for and implement within your organization to improve overall performance. 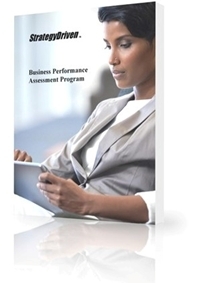 Common Business Performance Opportunities explores the organization, process, and technology challenges frequently preventing the achievement of superior business performance. 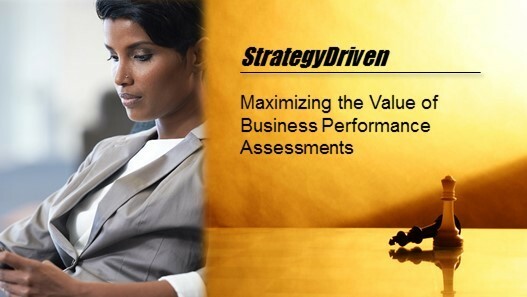 As illustrated by StrategyDriven’s Information Development Model, business performance assessments belong to the third tier of performance data refinement. Performance reports at this level benefit from human intelligence added to supporting data during: initial data synthesis, basic trend identification and analysis, multi-trend synthesis, and basic model application. It is the infusion of human knowledge and experience at these points that makes these assessments broadly integrated and highly insightful. Nathan Ives is a StrategyDriven Principal, and Host of the StrategyDriven Podcast. For over twenty years, he has served as trusted advisor to executives and managers at dozens of Fortune 500 and smaller companies in the areas of management effectiveness, organizational development, and process improvement. To read Nathan’s complete biography, click here. Think about how your business is run as a whole. We know that there are going to be some areas that just don’t flow. Some areas that might be holding you back somewhat. We’re sure that you want your business to be a perfectly well oiled machine, but the truth is, it just isn’t going to happen. Sometimes, your business is just going to stay a little rough around the edges. But, as long as you have the main internal processes smoothed out, then your business should be able to go from strength to strength. Plus, we think we know a few different areas that your business might be struggling with a little. And, what’s even better, we think we know a few ways that we can iron out the processes so they’re crease free. If your business needs a little bit of help, have a read of the pointers we’ve got below, and see if we can smooth out those processes for you! You should always be looking for some smoother sales when it comes to your business. There’s nothing worse than delay after delay happening to your company, but, it’s something that a lot of business owners actually have to deal with. So, if you want smoother sales, one thing you could try is a new point of sale for your small business. This is going to be perfect for those of you who have a shop floor where you make your sales. It works by giving you a system on a tablet that you can use in your store. It connects to card machines, and is easy to use. But, it doesn’t stop there. It will then allow you to analyse your finances for the day, and then allow you to see your profits and losses. It will also allow you to manage your inventory. So, as an all rounder, this really will smooth out your sales processes in store, as everything will be on one app. Management of your company is one of the biggest areas that you’ll have to manage, and you’re already going to be fully aware that it’s not as easy as you would think it would be! If you want to do this right, you’re going to have to find out where your flaws are at the minute. For a lot of companies, we believe that a lack of communication is to blame here. If you’re not communicating down the chain of command, you’re going to have a shambles at your feet. The more you talk about problems that people are having, the better you’re going to understand the company, and the better you’re going to be able to manage. Smoother marketing is essential if you want your company to grow. If you aren’t really putting much effort into a campaign at the minute, then this is what needs to change. You need to have a clear marketing plan, and the best way to do this is to get in touch with a marketing company who is going to run a good campaign for you. If you want your marketing campaign to work, you’re going to have to have a good company to carry you!